Organised by the "Early in Career Network" and "Connected Black Professionals" groups within Cisco this was a beginner’s level Salsa class. 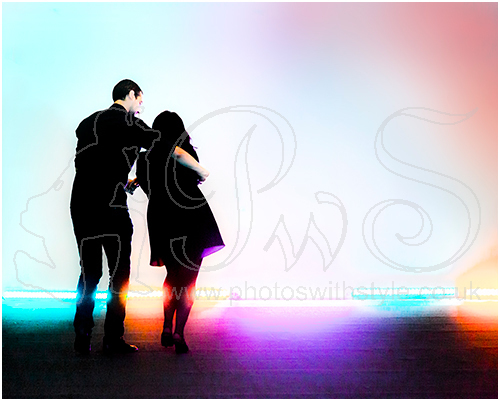 Having photographed the requested happy smiling faces of those learning to Salsa, I decided to work on some minimalist shots that gave a "feel" of the event rather than the "facts". With a little help from Photoshop (removing a distracting door) I came up with this colourful little number. If you like this picture you may also like my Music & Bands gallery, within the Live gallery. Considering the company it was in I was especially proud to have this picture awarded a Highly Commended this evening at The Leatherhead Theatre by the judge Bob Webzell ARPS EFIAP.